Journey across the country in style and comfort with the 2019 Keystone Bullet 273BHS Travel Trailer! 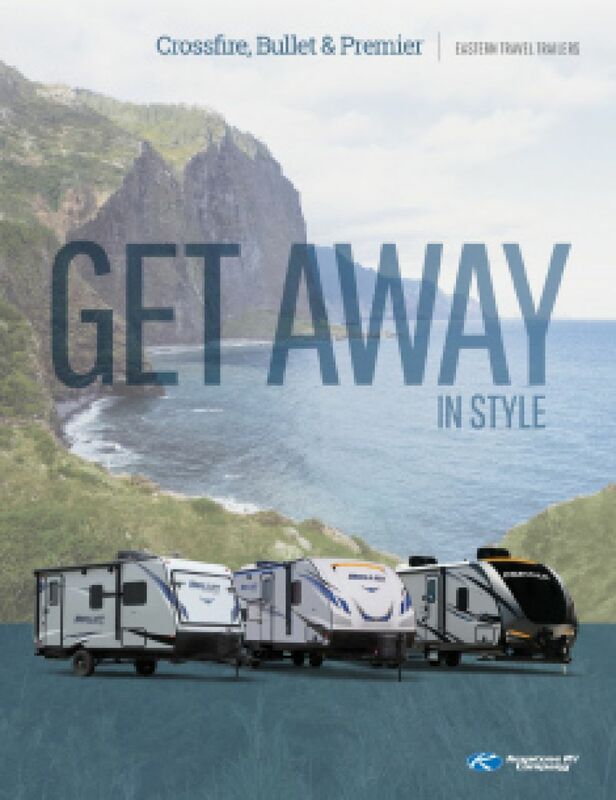 At National RV Detroit in Belleville, Michigan, we are one of the nation's top full-service RV dealerships, and we've been selling all of the top brand RVs since 2008! For an amazing deal on a new or pre-owned RV, we can't be beaten! So go online and check us out, then come in and let us help you find the perfect RV for you and your family! We're conveniently located at 44700 N I 94 Service Dr Belleville Michigan 48111, and our friendly, courteous staff are always ready to assist! Even if you don't live in the Belleville area, or in Michigan at all, we offer personalized phone and internet service, and our 24/7 delivery anywhere in North America means you can buy your dream RV today at a dream price, and have it delivered to your door tomorrow! Give us a call at 734-439-3400 and we'll turn your dream into a reality! When the weather outside turns sizzling, your family will stay cool and fresh indoors in this Travel Trailer thanks to the efficient 313500 BTU a/c unit! The modern 30000 BTU furnace will keep everyone cozy and warm on those bitter cold nights! At 31' 3" long, 8' 0" wide, with 1 easy open, space maximizing slides, the interior can accommodate the whole family in spacious comfort! 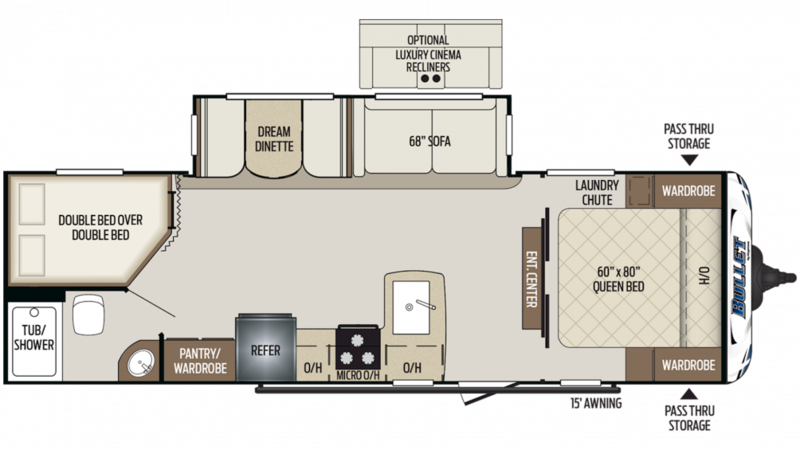 The spacious master bedroom in this Travel Trailer is a real delight! It's handsomely furnished and has a roomy Queen bed that will let you sleep soundly every night! A family of up to 10 people can sleep comfortably inside! The kitchen is fully equipped with modern cooking appliances, so healthy, hearty meals are always within reach! Store your fresh foods in the 6.00 cu. ft. refrigerator, then cook them up on the sizzlin' 3 burner range cooktop! Fill up the 43 gallon freshwater tank for an abundance of clean water throughout your trip! This model has a big 30 gallon gray water tank and 30 gallon black water tank, so you can feel free to use the bathroom without any issues! Plus with 40 lbs. of LP tank capacity, the water can stay hot throughout your trip! The bathroom comes complete with a shower and a Foot Flush toilet. Check out the bunkhouse and you'll find cozy Bunkbeds for family members or guests!